The traditional feet of Venetians are those silent wooden vessels that cross the canals and are guided by oar. This is a small introduction to the most common Venetian rowing boats and how to recognise them. Nowadays we cannot be expected to fully appreciate what a boat really was for a Venetian. However, every now and again you can see glimpses of how the city is in fact built on and from the water, and how this is part of the mentality still. Whilst walking along the grand canal we can observe the diversity of the traffic that changes throughout the day, now largely motor transport. You will see the deliveries being made early in the morning, the vaporettos throughout the day, the private taxis, and the gondolars. But what often goes unnoticed are the real feet of the Venetians, the wooden vessels that are so artfully designed for their various purposes. They hang as paintings on the walls of Venice and area as characteristic as the people you meet. Below is a small list of some of the most common rowing boats, however, in todays canals you will most likely see them adapted to include motors. Whilst this does not attract from their form it is a very telling sign of the speed at which we move. It is still possible to rent boats in Venice or even to have private Venetian rowing lessons, but be warned that the rules of the canals are endless and largely unwritten. Tomorrow la Vuoga Lunga will take place again for the 43rd year. It began in 1974 as a form of protest against the growing use of motorised boats. Any form of rowing boat can take place in the 30km non-competetive race. Over the years it has grown rapidly, as a result of its ‘open door’ policy and it is almost as fun to stand and watch as it is to take part (I would imagine, as I shamefully have never had the courage to take part). 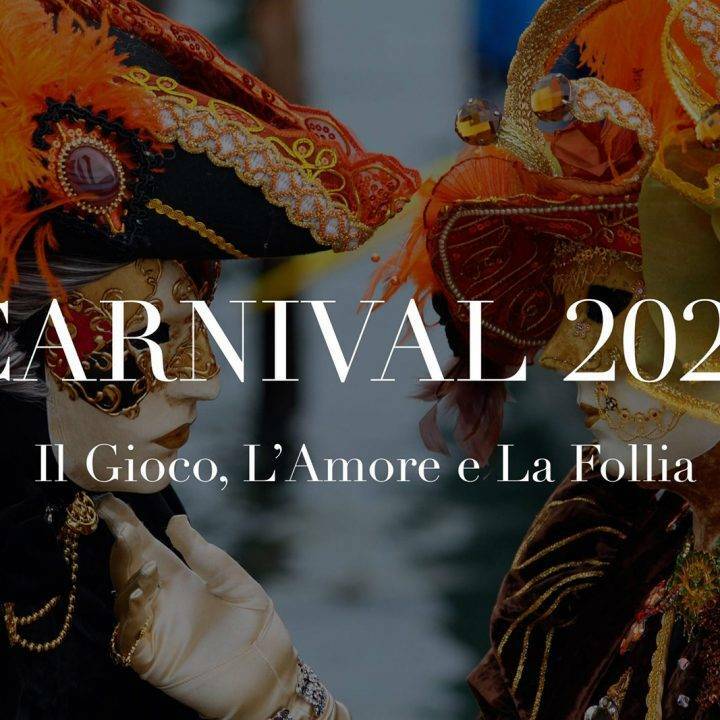 Sandolo are the most common Venetian boats, for private use and fishing there are several different types that differ slightly depending on their use. Pupparin- Got its name from the word “puppa” that means “stern” , which is higher than the bow. Powered by 1 or 2 rowers. It has an asymmetrical structure like the gondola, it is preferred by the young during the rowing regattas. 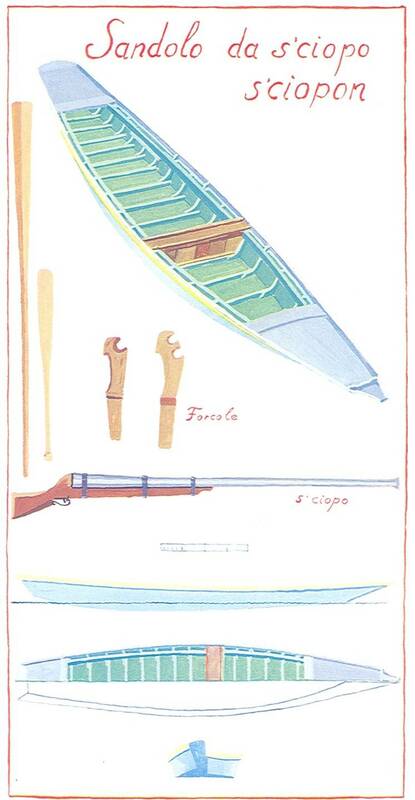 Sandolo da s’ciopo (sciopo = long gun) was traditionally used in the lagoon to hunt duck. Therefore it is small, flat based, and is the only boat that can be rowed from sitting position, allowing the huntsmen agility whilst shooting from water level. Whilst the design has remained the same, hunting in this sense is diminishing and it is more common to see this boat owned by locals who may have even attached a motor. San Pierota- was traditionally a fishing vessel and has always been extremely popular because it is so reliable and versatile. Traditionally families would paint them in differentiating colours, almost like a coat of arms. 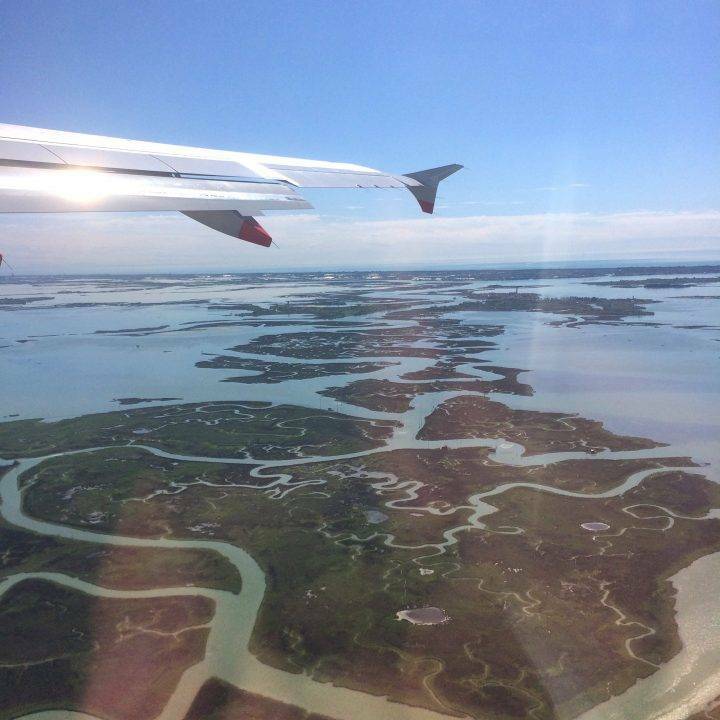 Another reason why the waterways of Venice were historically more colourful than they are today. Whereas many boats are slowly diminishing the san pierota is infact flourishing, and one reason may be that as early as 1930’s there have been rental systems of this boat, where people have acquired the boats for moving for recreational purposes. These services still exist today. 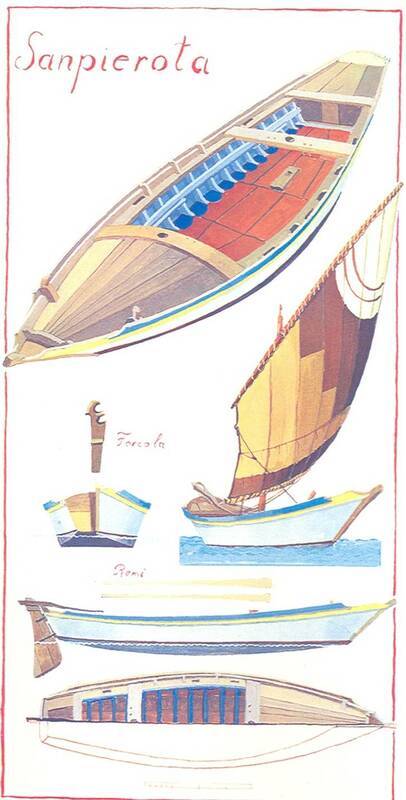 Mascareta- This is the favoured boat to build by training boat builders because it is relatively simple. It is also lightweight and therefore very popular amongst venetians. (Rat) is a unique boat for several reasons. Used by fishermen there is a hollowed out area in the hull that was intended to allow the catch of the day to be brought home without catching rain water. Nowadays, it is more likely to store bottles of wine. Also considering the shallow areas of the lagoon the topo has a specially designed mast that is positioned three quarters of the way down the body of the ship in order to lift the rudder out of the water when fishing in these shallow waters. Mainly used for transportation of materials or fishing, this a large steady boat that can be steered by as few as 2 or as many as 10. It is a boat favoured for its stability, and its symmetrical design, unlike that of the gonodolas. Whilst it may not be as aesthetically pleasing as the other satisfyingly romantic boats, Venice owes a tremendous debt to this boat. The traditional transportation vessel it can carry tremendous loads and is rowed in a very unique way. Instead of the oars being used to pull on the water, the oars infact touch the canal bed and are pushed. The oarsmen propel the tremendous vessel by walking slowly from one end to another. (Another venetian wonder). One evening, late, late, whilst walking home I decided to stop and stand at the San Stae fermata. I had been there no more than 5 minutes, on one of those nights when the moon is almost accusingly bright, when a couple in a sandolo began to approach. What struck me most was the equilibrium that they had silently achieved, there was a sychronicity in the movements that was felt rather than spoken. To me, this was more romantic than any kiss any flowers, knowing and trusting someone like this is Venetian romance.